Until the end of 2014, Australia is uniquely positioned on the world stage to make a real difference to the lives of women in conflict, transitional and post-conflict countries by ensuring they are actively represented in all peace negotiations. The Australian government has secured not only a non-permanent seat on the United Nations Security Council, but also a seat on the Executive Board of UN Women, the UN entity charged with enhancing gender equality and the empowerment of women. These represent two internationally significant avenues through which the Australian government can fulfill its promise to engage women in the governance of international peace and security, furthering the UN’s Women, Peace and Security (WPS) agenda. This agenda, the primary architecture of which comprises seven interrelated UNSC Resolutions dating back to UNSC Resolution 1325 (2000), mandates that women should be represented at and actively participate in all peace negotiations, as well as making binding international commitments to eliminate violence against women and protect women’s rights. During the campaign for a seat on the UNSC,the WPS agenda was specifically used to enhance Australia’s bid for non-permanent membership. In its candidature brochure produced for the campaign, the government acknowledged that ‘women are powerful agents of change for peace and security’ and drew attention to the ways in which Australia has supported the development of the WPS agenda over the years. A recent special issue of the Australian Journal of International Affairs highlights the significance of the WPS agenda to and in Australia and the broader Asia-Pacific region. The contributing authors investigate whether and to what extent a gap exists between the rhetoric and reality of Australia’s promotion of the WPS agenda on the UNSC and other venues. Our article examines recent Australian efforts to promote the WPS agenda in its UNSC membership, in light of both Australia’s considerable aid commitments to fragile and conflict-affected states and its significant funding of academic research in this area. We highlight a uniquely Australian approach to the agenda focused on women’s agency, and propose some concrete directions for future Australian international engagement in order to fully realise women’s participation and leadership in peacebuilding. An article by Michelle Elizabeth Dunn considers how the WPS agenda is defined both globally and in the implementation of the Australian National Action Plan, with an argument strongly focused on the need for ‘localisation’ of the WPS agenda within our own community. The article focuses particularly on historical injustices to Indigenous Australians, and interrogates the possibility of redressing such injustice within the WPS framework. Keeping the spotlight on Australian commitments, Katrina Lee-Koo explores the gap between the rhetorical commitments of the major Australian government agencies named in the Women, Peace and Security National Action Plan (NAP) and their actual implementation plans and achievements to date. 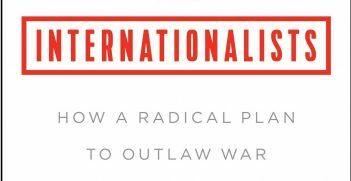 It focuses in particular on challenges to implementation in the Australian Defence Force and Australian Federal Police, and the lack of transparency about NAP achievements to enable civil society to monitor and hold the Australian Government accountable for its promises. Nicole George shifts attention to the Pacific Islands region and scrutinises the implementation of the WPS agenda through analysis of the range of insecurities experienced by Pacific Island women. She credits Pacific Island women with the achievement of a Regional Action Plan that is recognised by Pacific Islands Forum member states but argues that Plan neglects ‘slow’ forms of violence and insecurity caused by environmental degradation, climate change, persistent militarism and male-dominated politics. These deep-seated structural causes of insecurity and conflict must be confronted if a gender-equal regional peace is sought. Two articles explore the meaning of the WPS agenda in light of existing institutions and law in South-East Asia and the Asia-Pacific region as a whole. In their article, Sara E. Davies, Kimberley Nackers and Sarah Teitt consider why there is a Women, Peace and Security gap in ASEAN, despite the presence of some of the world’s most protracted conflicts in the region (Asia Foundation 2013) and the ratification of institutional commitments to the advancement of women, human rights and the elimination of violence against women. Currently, only one state—the Philippines—has adopted a National Action Plan. ASEAN approaches regional security without women, locating women as subjects alongside children, requiring protection in the social domain, rather than as important agents of peace and security. They argue that the WPS agenda should be an ASEAN regional priority. Emily Waller, Emma Palmer and Louise Chappell ask why the Asia-Pacific has the lowest regional ratification of the Rome Statute of the International Criminal Court, at 44% of states. They note the many conflicts in the region since 1945 and the evidence of ‘widespread’ and ‘systematic’ sexual violence in those conflicts. Failure to ratify the Rome Statute has real costs in terms of responding to these sexual violence crimes through prosecutions and reparations. In order to address this WPS gap, they put forward a number of practical steps that the Australian Government could take to encourage the ratification and implementation of the Rome Statute in the region. We sincerely hope that the legacy of this special issue will be the promotion of even more research on and engagement with WPS issues in Australian foreign policy, universities and civil society. The opportunity has been created for Australia—a country with a history of confronting peace, reconciliation and justice issues—to make its mark on the global stage by advancing the WPS agenda and, with it, the agency of women peacebuilders. Associate Professor Laura J. Shepherd is Associate Professor of International Relations at the School of Social Sciences, Faculty of Arts and Social Sciences, UNSW Australia. A/Prof Shepherd receives funding from the Australian Research Council (DP130100707). Professor Jacqui True is Professor in the Faculty of Arts, School of Social Sciences, Monash University. Professor True receives funding from the Australian Research Council (DP140101129). They are co-founders of the Women, Peace and Security Academic Collective, a network of feminist academics working on advancing the Women, peace and Security agenda through evidence-based research and advocacy. A version of this was published in a special issue of the Australian Journal of International Affairs Australia on the UN Security Council: Progressing the Women, Peace and Security Agenda. 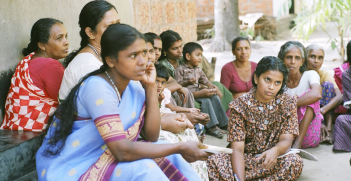 Although microfinance was hailed as an important step for women’s empowerment, research has yielded conflicting evidence. 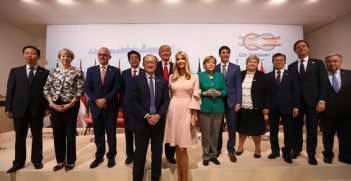 It may have been lost in the hype, but a major new initiative to support women's economic development was launched at the G20 Summit in Hamburg and the Trump family had a lot to do with its success.